too hot….tell me it will be worth it! I don’t ‘do’ heat! I also hate housework….so having to clear out all the crap we’ve been throwing into my old bedroom for months and months (ok years) in the heat of summer isn’t going down well. I know it will be worth it in the long run….but still very much struggling with motivation….still am getting there….just need to get IN there a bit more, I do so desperately want the kids beds in their new room by Thursday so we can start school fresh on Friday (incidently whoever decided to send kids to school for the first time in the year on a Friday clearly wasn’t thinking)! meanwhile I put new batteries in Corey’s leapster and he is happily playing that (though still tries to get his hands on a DS from his brothers often)….only thing is now I have a leapster, a DS and a playstation all going in one room (oh and me on the laptop) what would we do without our ‘screens’! Time to put them down and do some work for half an hour I think….short stints in the heat! Hi Honey I’m home….did you miss me? am back again. I know I’ve neglected my blog terribly but perhaps it is time to come back to it. A quick round of the end of year and xmas things first hey? Mum and Dad kindly came down and watched the kids (got them to school and home) while I sat for my exams for Sociology and child development, I was worried about the child development unit but I did pass in the end and got a distinction for sociology. At this stage I didn’t get an offer for OT as I had hoped but will stick happily with plan B and progress with a Bachelor of Behavioural studies through OUA (and Swinburne) with the aim of doing some community type work for the likes of the Smith Family. Mum and Dad also took our tent up to Loxton as we were all landing on them for Xmas (well except Nathan who is in Perth) and she just didn’t have room for everyone in the house! So we drove up to Loxton (having spent around $500 on the car to get a tyre repaired, brakes and shockers) and we had a fairly relaxing holiday (although boys were naughty and often in trouble)….we headed up to Adelaide for a few days and as we were leaving I thought it was odd that the ‘old girl’ (aka ’92 commodore) wouldn’t reverse up my lil brothers driveway…still it was a steep driveway and so I just let it go. But then when we got back to Mum & Dads, Dad offered to reverse it in as I had left it on the street (my uncle was in the driveway as I arrived)…she wouldn’t go backwards….reverse gear gone! Took it in to get looked at but it appeared that we were likely to hear that the transmission was shot….yup and a minimum of $1500 to fix it (with a second hand transmission)! Eek…Merry Christmas girl! On the up side, Mum and Dad thought it better to get me into a newer, safer, more reliable vechicle and as such did a little looking around before they came and told me what they were up to! So two days later I was in my new vechicle (and I owe Mum and Dad lots of $). But I am loving the new car, it’s a 2002 Ford Falcon wagon in a pretty metallic blue. It has a roof lining that is actually attached to the roof, cup holders, functioning keyless entry, air con that blows me away, stereo & cruise control buttons on the steering wheel, electric windows…..and even a fully functional transmission…..so much that the old girl just didn’t have! I am lucky to have such great parents! Since getting home I have slowly been trying to get the house organised. I have, in a sudden spurt of energy the other day, gotten all the toys out of the old play room and moved my things in (will leave paint til later for now). I bought a cheap 2nd hand tallboy for Brett so they can have one each for their clothes so now just have to empty all the crap out of my old room (including my old 4 poster bed which I will finally sell) and then move in the other two tall boys and the beds. They are getting the big room so that we can pull the bunks down and have single beds which at the very least will be easier for me to make! I’ve been getting better on the antidepressants, but still was really struggling with motivation. I’ve just realised however that motivation has definetly been improving this week…lets hope I can hold onto it. I did get one room sorted. I also bought myself a little present – a wii fit balance board and wii fit plus game (kids got a wii for xmas) AND what’s more I have actually spent at LEAST 30 minutes on it every day….even the days when I had decided to just leave it and go to bed I changed my mind and did some. I wouldn’t say I’m doing a hugely athletic work out but I am raising a sweat which can’t do me any harm and may just do me some good, who knows. 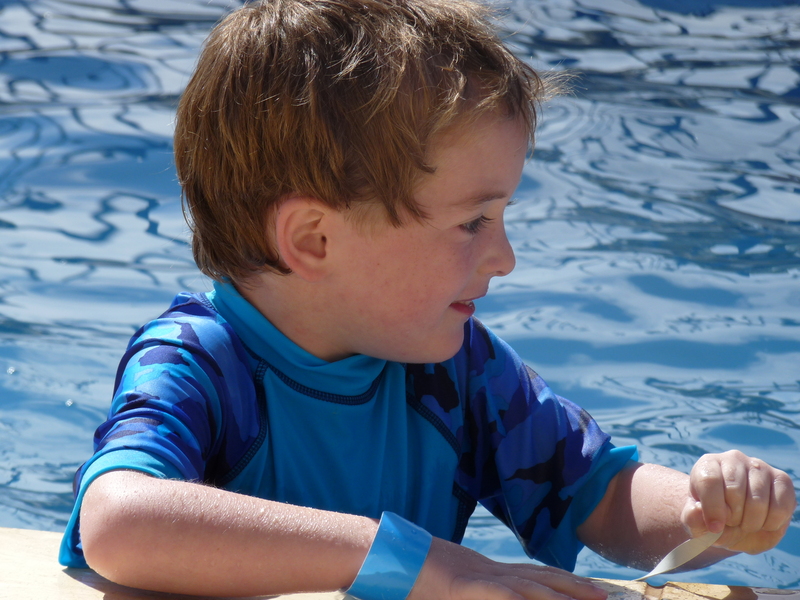 This year is the start of something different for me….my baby starts school in a weeks time. 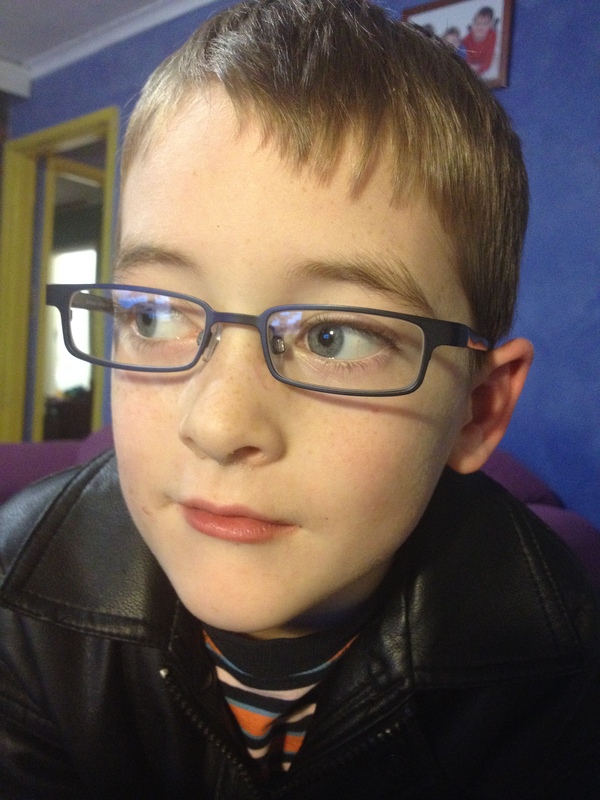 He is excited and really just can’t wait and a part of me is excited too I guess….it is a new adventure for me too. 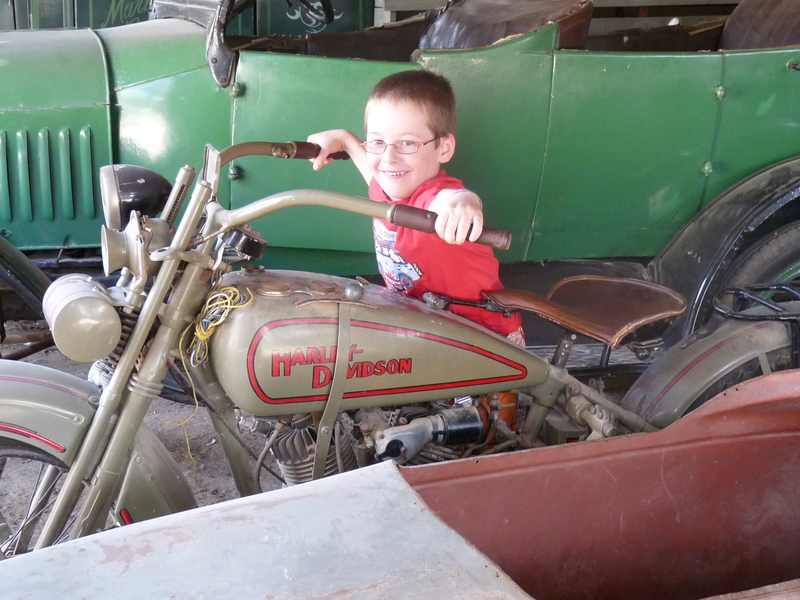 oh and while on boys and exciting news…..Brett can officially ride on two wheels without a push start as of today! and now thats it for now…. 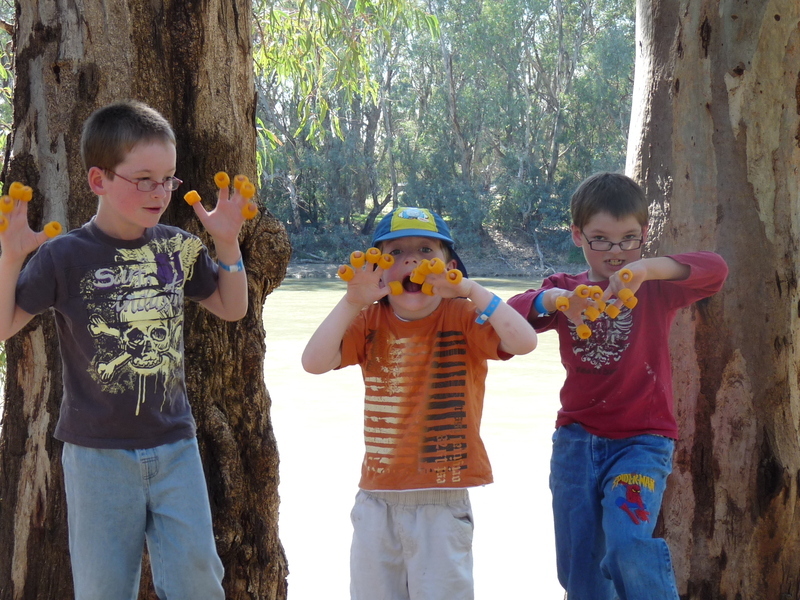 We had a ball in Swan Hill! 5 nights was the most we have spent in our camp as yet, but also our best holiday yet. The weather was beautiful – mid to high twenties every day and it only rained once – the day before we left! Luckily it fined up in the morning and we were able to take a dry tent home. We spent most of the time lounging at the BIG4 Swan Hill Caravan park and can’t say enough good things about them really. They let us pack up a little late with no problems so we could bring the tent home dry. The family bathrooms were a true sanity saver with separate bath, shower and loo. 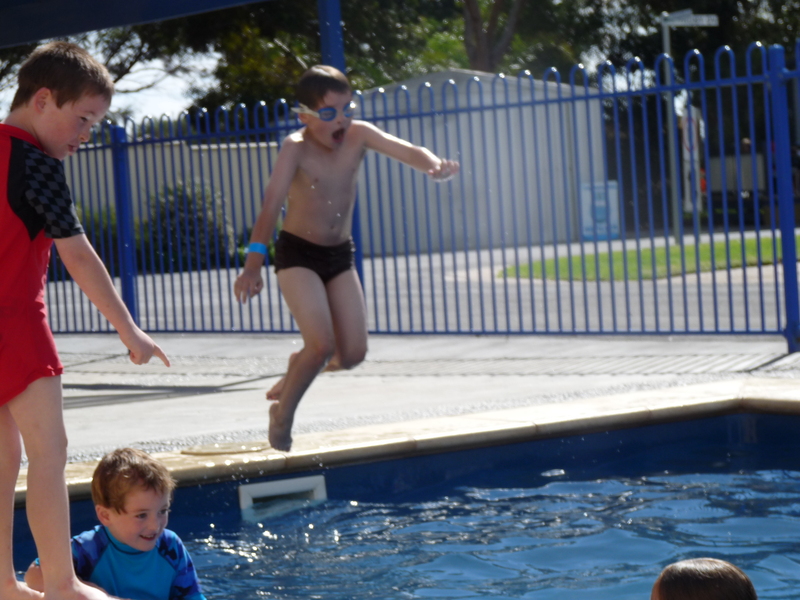 The jumping pillow and swimming pool kept the kids busy for hours and the activities were all great too. And friendly campers! Wow!! We had help to set up the tent, the loan (which later turned into a gift as they left before us and left it for us to keep) of an extension lead when mine wasn’t long enough, more help to pull the tent down again when we were leaving, not to mention people letting the boys join in their footy game etc while I was cooking dinner! Owen had to wash his own dishes as part of his cub scout ‘camp out’ badge but he did ALL the dishes the whole week without complaint! 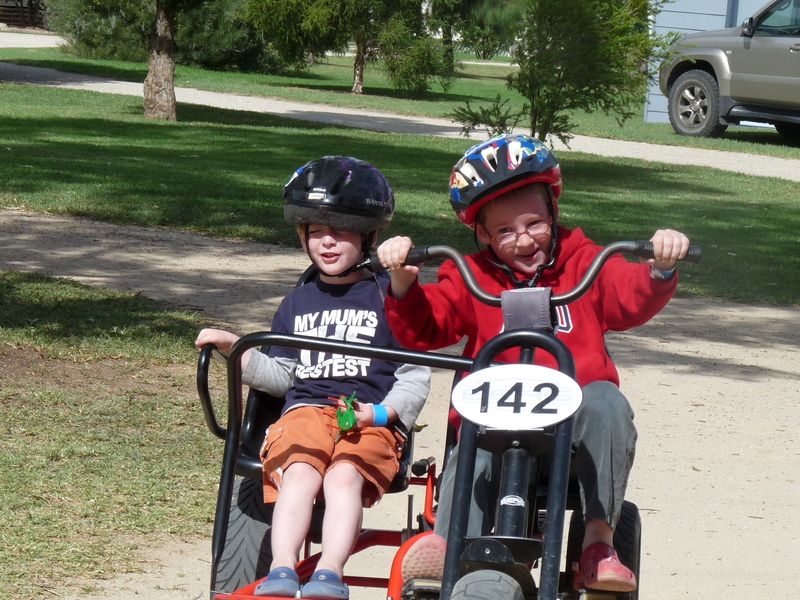 We got to spend a day with the fabulous Deb O at the Swan Hill Pioneer Settlement which the kids loved especially the tractors! Easter Bunny came in the tent which was very exciting and Aunty Sue’s ‘come find me’ talking Easter Eggs kept them entertained for hours on end! 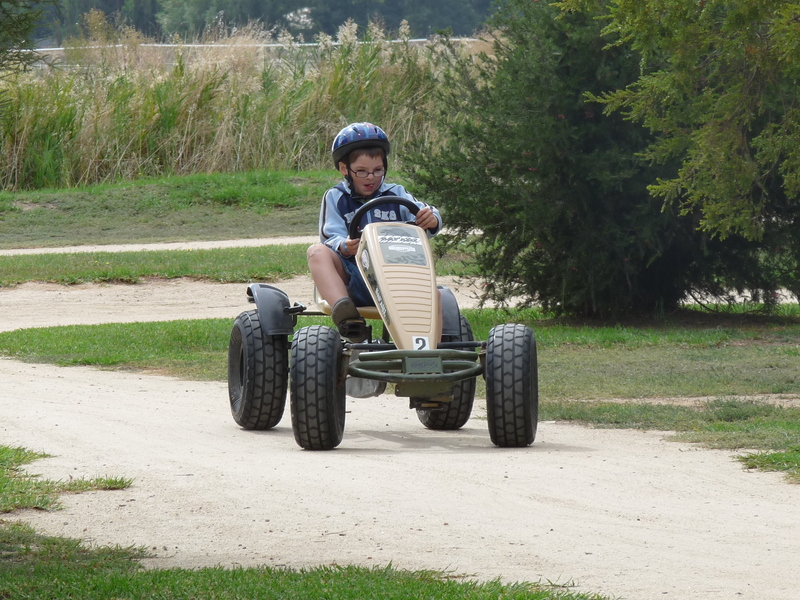 And the go kart races….poor Brett couldn’t get over the hill and when I went to help Corey beat me and pushed him over! 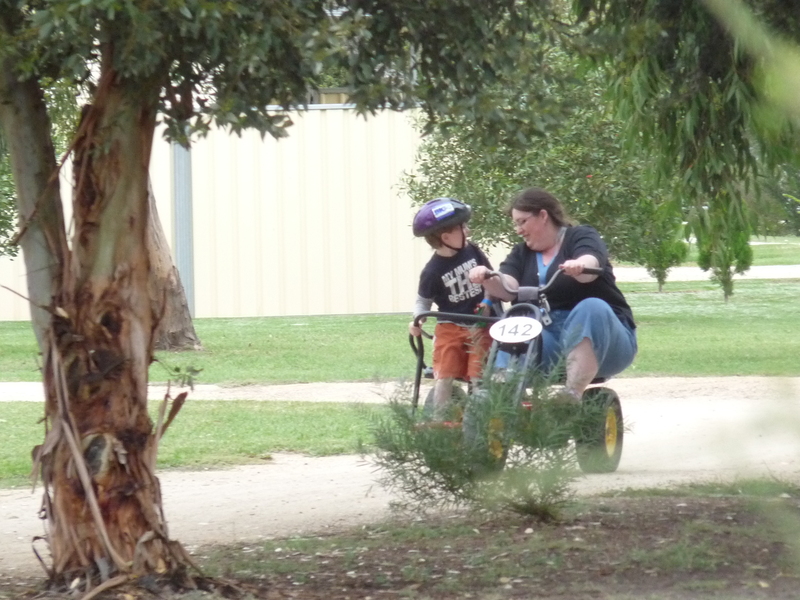 Later in the week I hired two (one with 1 seat and one with 2 seats) for an hour and they had a ball – and after a couple of attempts Brett got over the hill just fine on his own! and now just a few pics for you….